Jose Mourinho has hit back at Paul Scholes over his negative comments towards Manchester United, saying "all he does is criticise" and he hopes he would be "25 per cent" as successful as him if he ever turns to management. 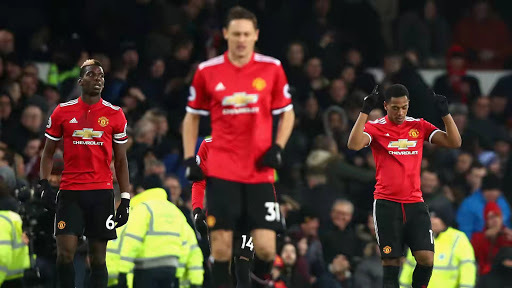 Former United midfielder Scholes, who now works as a pundit, said the players and the manager are "under-performing" after their 0-0 draw with Southampton, while also highlighting his concerns over the fitness and attitude of midfielder Paul Pogba. And, after United returned to winning ways with a 2-0 win over Everton on New Year's Day, Mourinho responded to Scholes' comments. "I think the only thing Paul Scholes does is to criticise. I don't think he comments, I think he criticises, which is a different thing, but not every one of us has to be phenomenal, like he was as a player. "He was a phenomenal player, that doesn't mean that we all have to be phenomenal. Paul (Pogba) tries to do his best all the time. Sometimes he plays very well, sometimes he plays well, and sometimes he does not play so well. "It is not Paul's fault that he made much more money than Paul Scholes. It is not Paul Pogba's fault, it's just the way football is. "But I think Scholesy will be in the history like a phenomenal player, not as a pundit. So I prefer to look at him as a phenomenal player who gave so much to the club I am proud to represent and every day I try to do my best.